I had arranged with Paul, my neighbour to cycle the Tumble Bike Trail and today was it. Apparently Angela his wife, preferred to stay home and carry out some domestics! 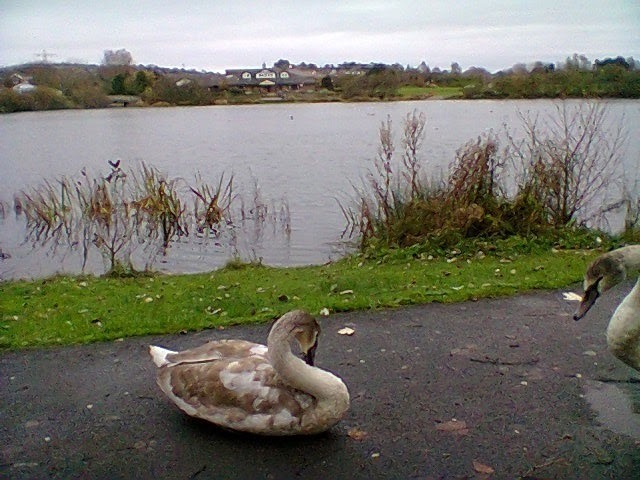 We took the car to Tumble and set off on the trail (bike route 47) heading for Llanelli. This was Paul’s first ride on the trail. I have mentioned this route before but it’s always worth doing as it is a first class trail, tarmac and traffic free. having said that weekends will see plenty of walkers with or without dogs, runners and cyclists so care is needed. Today, Tuesday was less busy but we saw a selection of all those mentioned above. We met one couple on a tandem and had a long chat with them about the advantages of tandem biking. the only down side seemed to be getting it onto a car. They had even transported it to the USA some years ago. (now thinking of trying one with Mrs Bob perched on the back). A coffee break was had near Cynheidre and then on. Our next stop was to chat with a couple of Sustrans workers who were clearing a drainway. This week I had applied to be a Sustrans volunteer and it seems the “gaffer” of these two would be the chap I may be helping in due course. Autumn colours were still in evidence but judging by the covering of leaves on the trail it won’t last for long! The Swiss Valley reservoirs were spotted with the overflow working well. 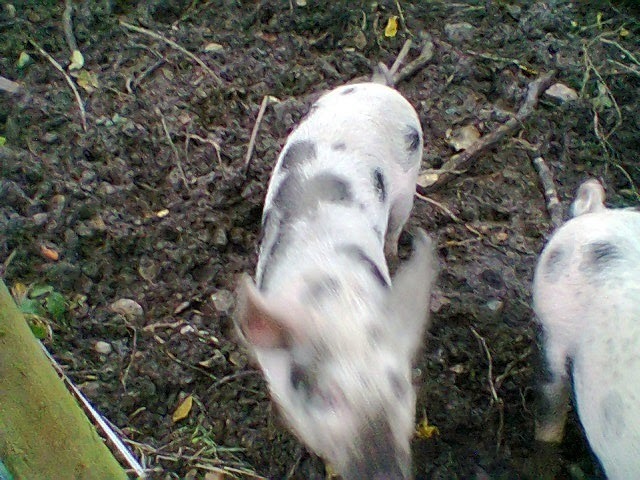 We also met with a couple of spotted pigs who seemed keen for a chat or probably free food. They were out of luck. We left the trail at Sandy Water Park and had another coffee/cake break. 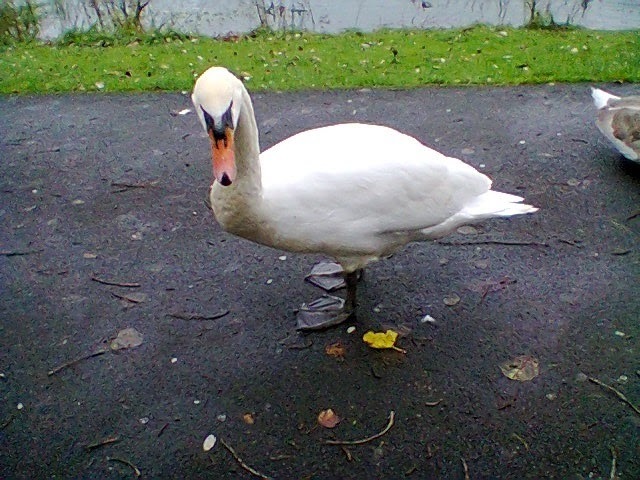 The swans soon gave up begging when it became clear there was nothing on offer. Refreshed we returned to the trail and cycled back the way we came. The route is now uphill but nothing too arduous. Not sure I Fancy being “perched” on the back of a tandem!